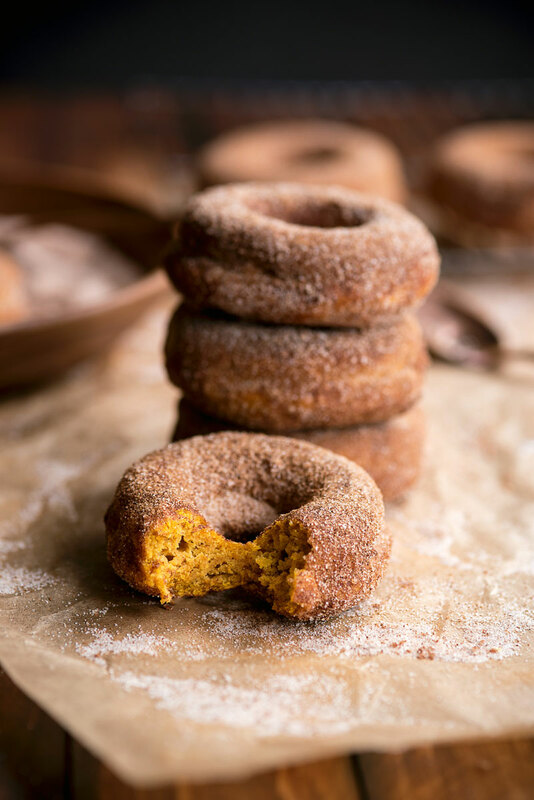 A no-fuss baked pumpkin donuts recipe that is perfect for fall. Baking instead of frying makes them healthier – less than 350 calories per donut! Can you believe pumpkin spice season is here again? Almost every food blog I follow has featured at least one pumpkin or pumpkin spice recipe already this season. It’s mid-September and I’m already late to the party. 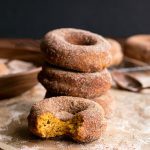 Before you overindulge on pumpkin and need ten months to recover, try this amazing recipe for baked pumpkin donuts. They are baked, not fried, which makes them easier in so many ways. Easier to make, easier to clean up (oil splatters anyone? ), and easier on your waistline. These babies ring in at less than 350 calories each! I’m currently smack dab in the middle of a particularly rough stretch at the hospital. I worked two 24-hour shifts (yes, you read that right) in three days this week and these doughnuts, made on my recovery day, helped to ease my suffering. The nice thing about them is they keep nicely in the freezer once baked. 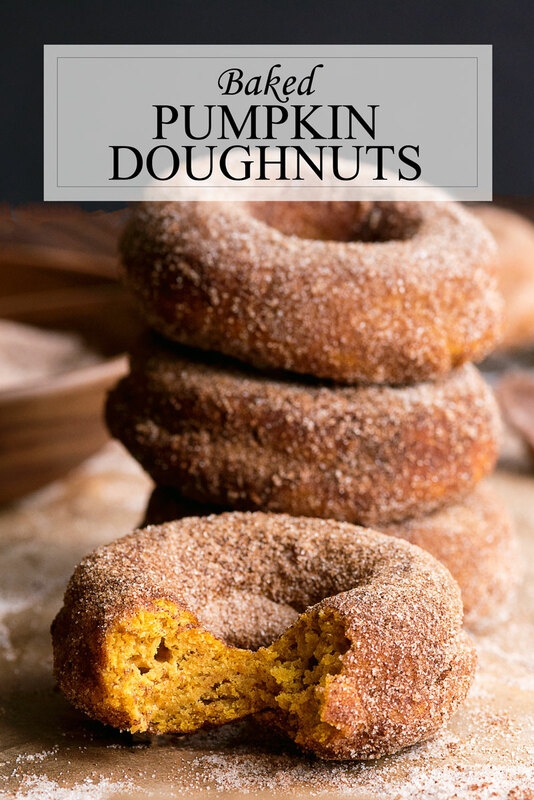 You can unthaw them, then sugar them and have baked pumpkin doughnuts on demand! Do you have a favorite pumpkin spice recipe this time of year? Or are you team anti-pumpkin all year round? 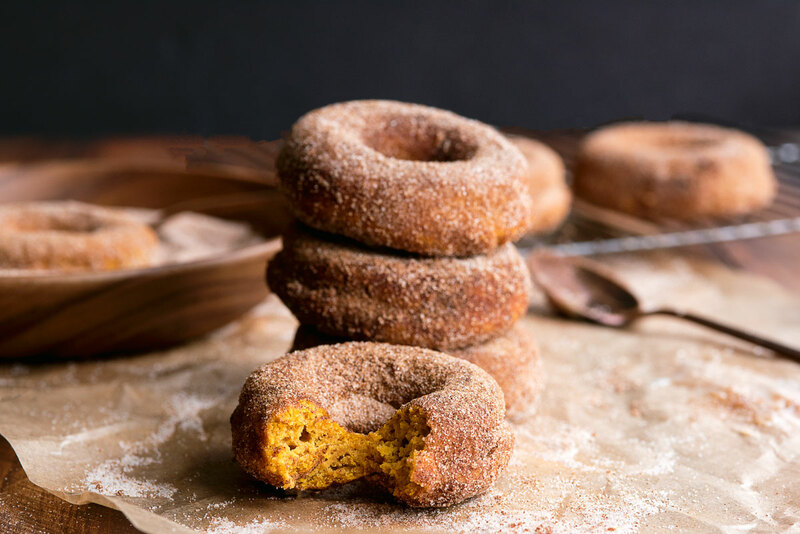 A no-fuss baked pumpkin donut recipe that is perfect for fall. 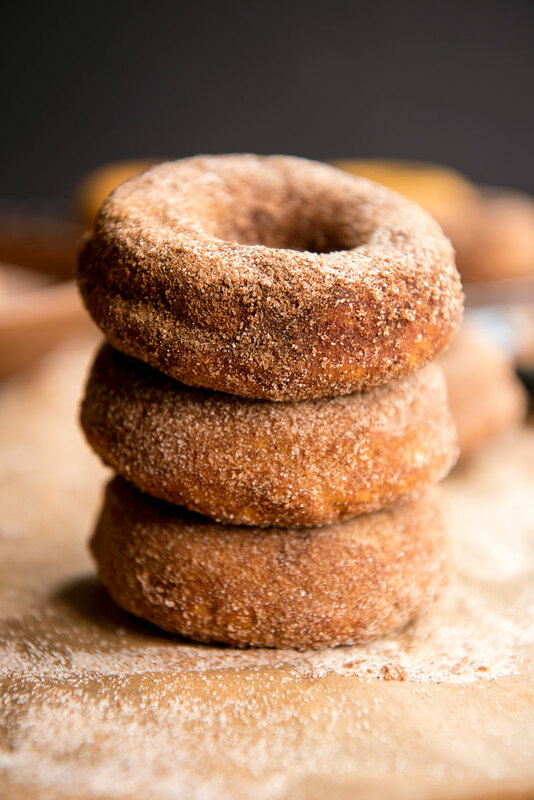 Baking, not frying, makes them healthier – less than 350 calories per donut! In a large bowl, stir together the pumpkin, brown sugar, oil, buttermilk, and butter. Beat in the eggs. In a separate bowl, combine the flour, baking powder, baking soda, salt, and pumpkin pie spice. Add to the wet ingredients and mix until just combined. Spoon the batter into a piping bag or a ziplock bag with one corner snipped off. Squeeze the batter into prepared donut pans sprayed with nonstick cooking spray. Fill about 3/4 full. Bake at 350° Fahrenheit for 30 minutes, until a toothpick inserted into the center should come out clean. Let cool in the pan for about 5 minutes and then remove onto a cooling rack. 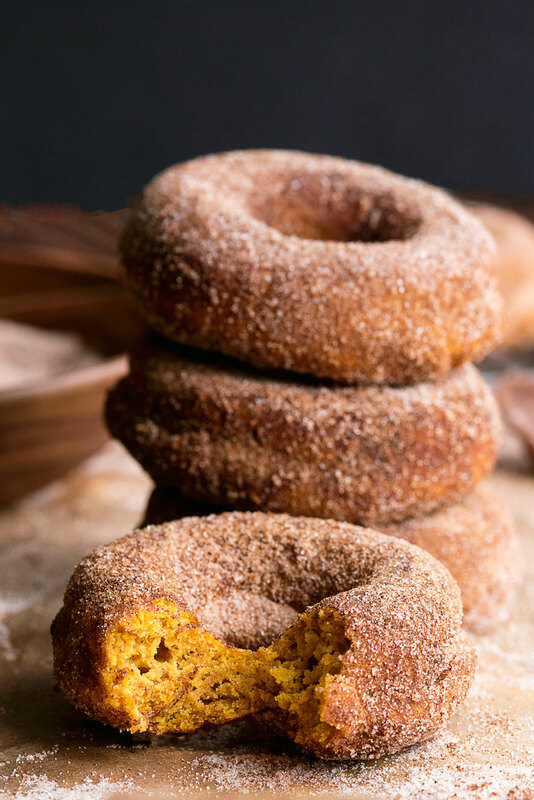 Once cool to touch, dip both sides of each pumpkin donut in melted butter and then cinnamon-sugar mixture. I let them dry and then re-dip each doughnut in the cinnamon-sugar mixture for a more even coat! Donuts taste best eaten the same day. If not, keep the unsugared donuts in a ziplock bag in the freezer until use, up to two weeks. Let defrost on the counter an hour before eating. P.S. – This recipe is an update from one that was originally published in November 2013. Wondering what my photos looked like four years ago? Those look delicious! 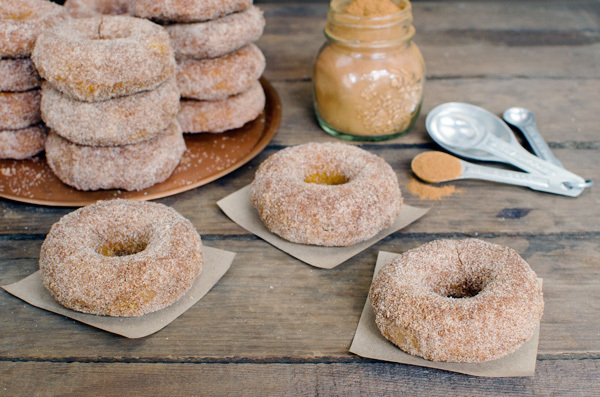 I’m a donut fanatic but I like the idea of making them at home without a deep fryer. I’ll for sure be trying these! They are! I love my doughnut pan. It’s so easy to use and much easier to clean than the mess that comes with frying doughnuts! Oh my gosh these look AMAZING! Bookmarked!! Aww, thanks! You absolutely need to make them! Looks so good!! How many donuts does this recipe make? 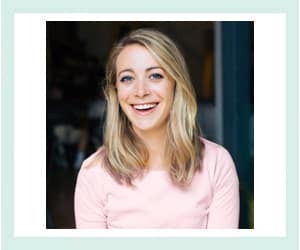 Hi Melina – Good question! It’s actually be a couple of years since I’ve made these but I think it was about 20. If you happen to make them, will you let me know how many you get? I would really appreciate it so I can add this to the recipe! These look amazing! And your photography is stunning. STUNNING! Thanks love! I promise they are DELICIOUS! Ohhh this makes me want a doughnut pan so I can make some. I love pumpkin recipes!!! I actually prefer using a doughnut pan as they tend to be easier to make and slightly healthier!